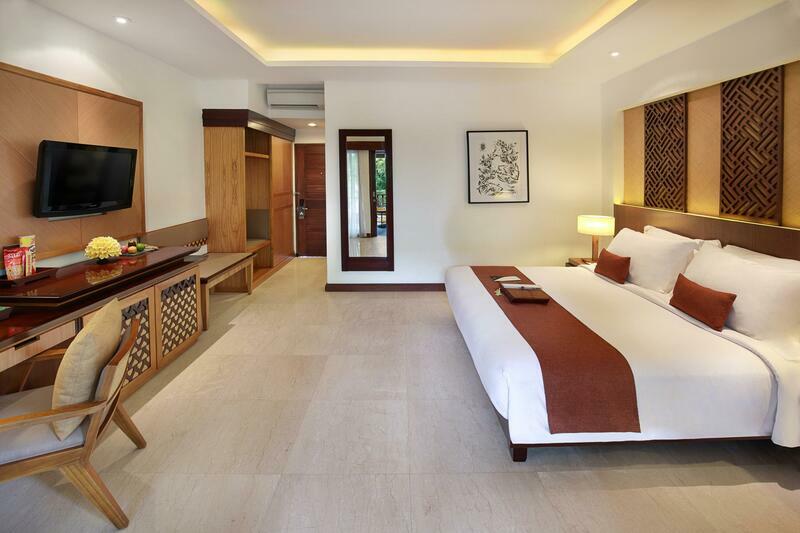 Tropical elegance awaits you at Bali Niksoma Boutique Beach Resort in the lifestyle district of Legian. 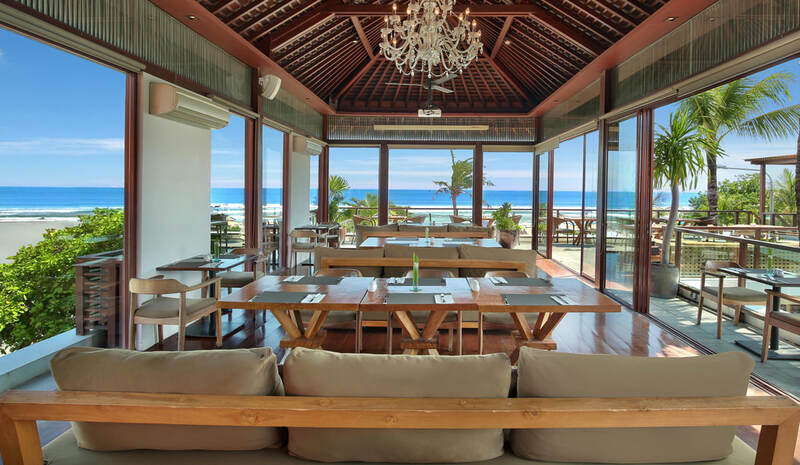 Conceptualized by iconic Indonesian architect Hadi Prana, this stylish beachfront property combines the timeless design of Balinese architecture with modern functionality. 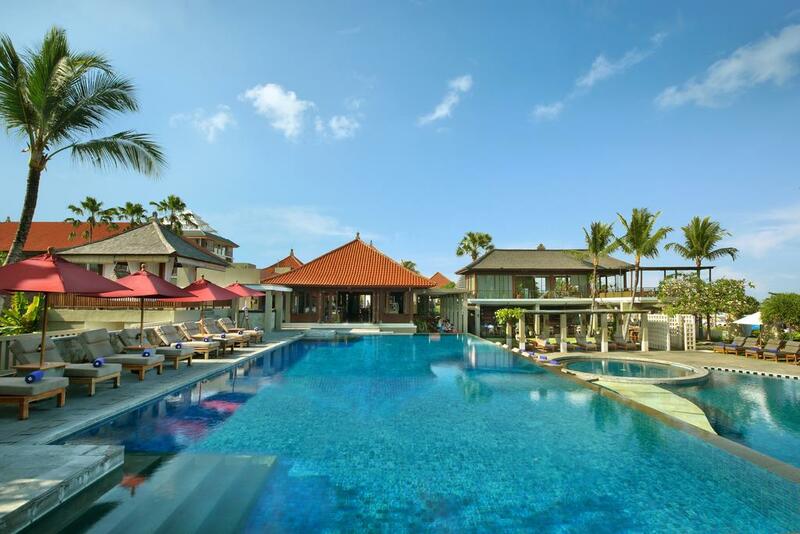 It promises unrivalled resort comfort for a luxurious stay on the island Bali. 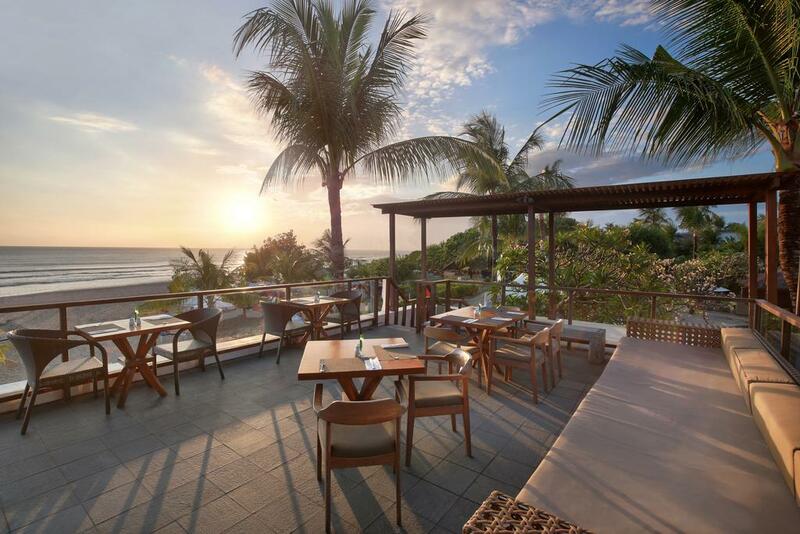 Strategically located just footsteps away from a prime stretch of sunset beach, Bali Niksoma Boutique Beach Resort is all about island-inspired relaxation. 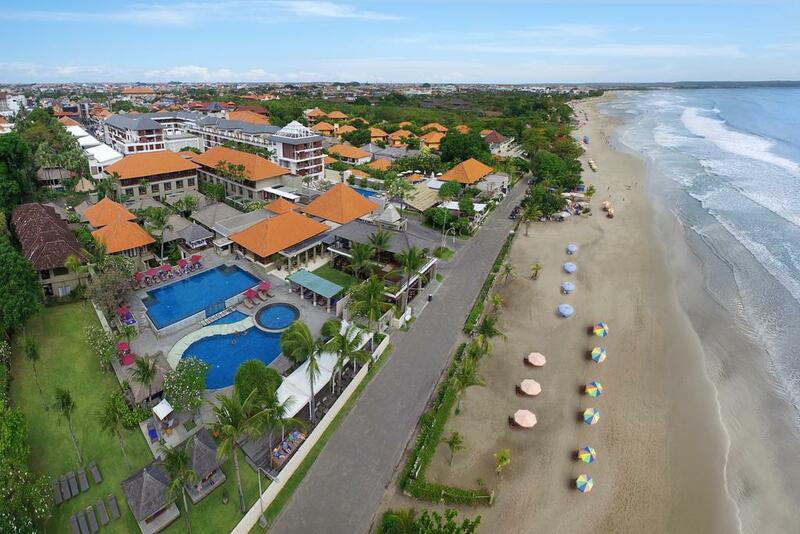 It is perfectly placed to enjoy all of the colorful shopping, dining and entertainment options that the Legian and Seminyak areas have to offer. 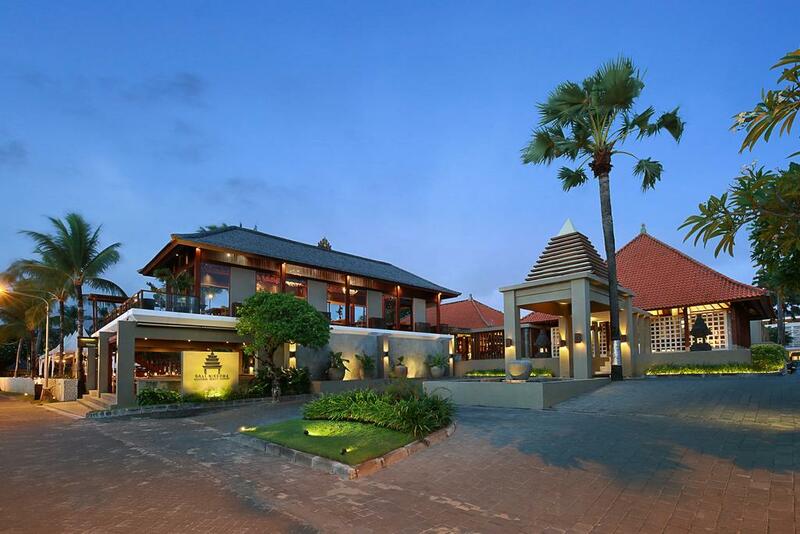 The resort is only a 25-minute drive from Bali’s Ngurah Rai International Airport. 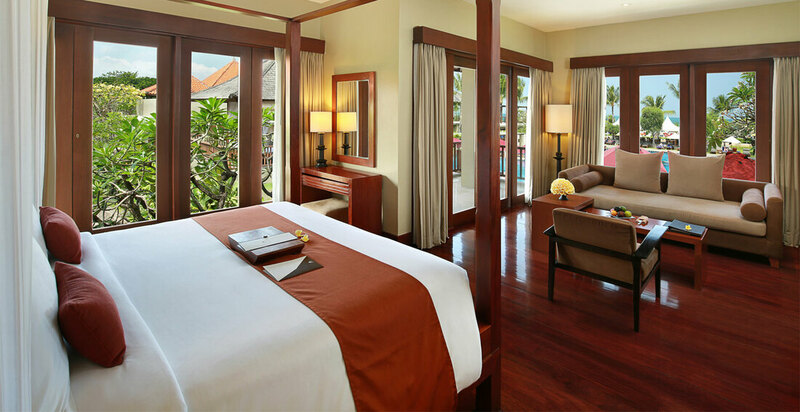 For a real taste of Balinese luxury, our Superior Room is an inviting space with a smart décor in calming shades of colour. 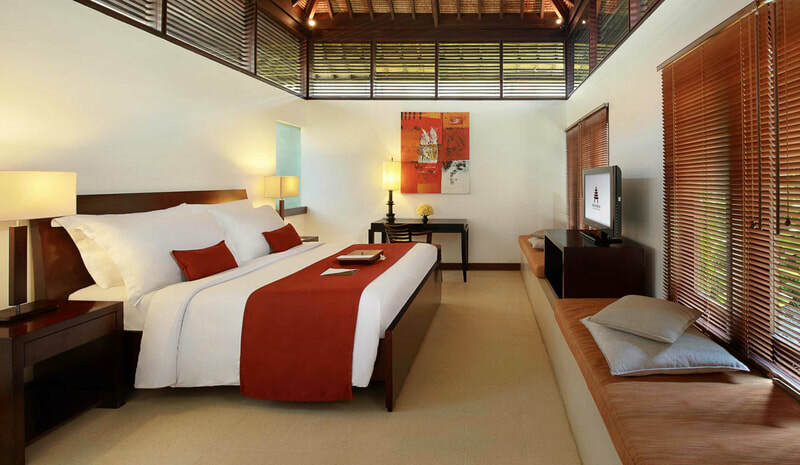 It features home comforts and modern amenities to enhance your time on the island. 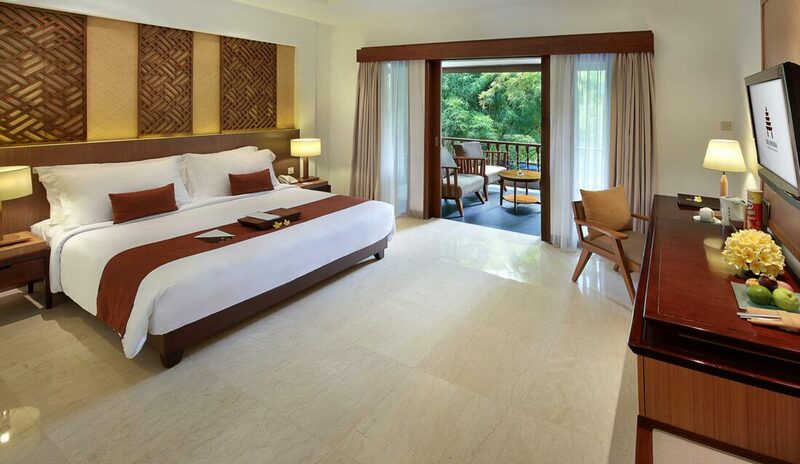 A private balcony overlooking the resort’s landscape garden provides an additional area to sit and recharge. 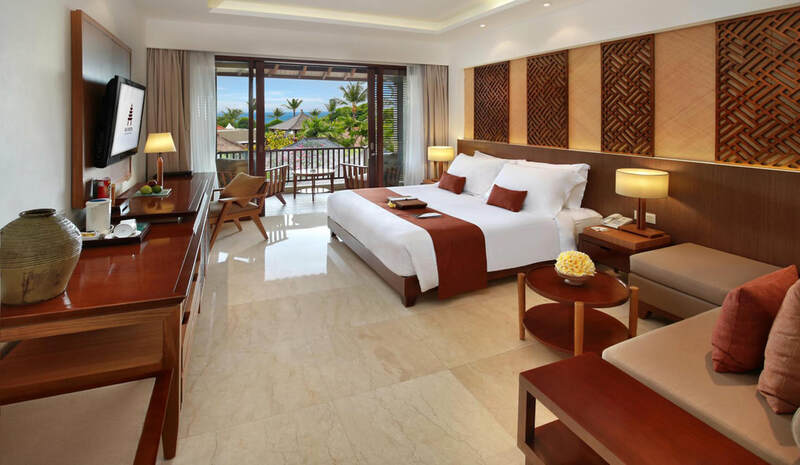 With its contemporary Balinese look paired with luxury amenities, our Deluxe Room projects a warm sense of belonging. 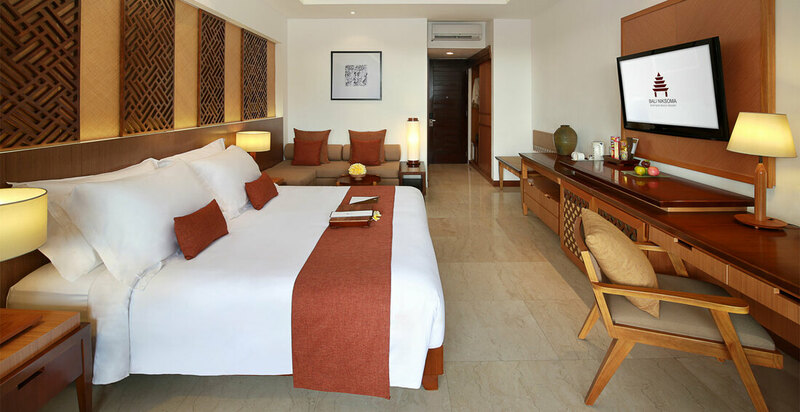 It comes with a relaxation corner fitted with a comfortable cushioned sofa. A large picture window leads onto a private balcony that connects you with the tropical beauty of the outdoors. 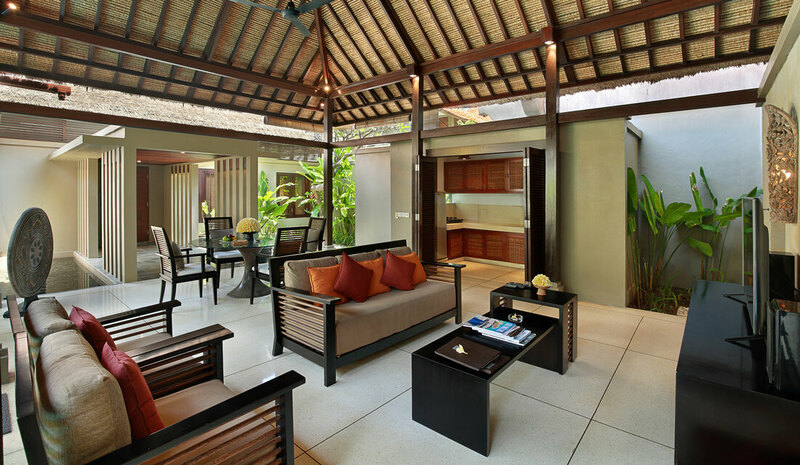 Encompassed by lush greenery, this spacious ground floor cottage honours Bali’s traditional heritage. 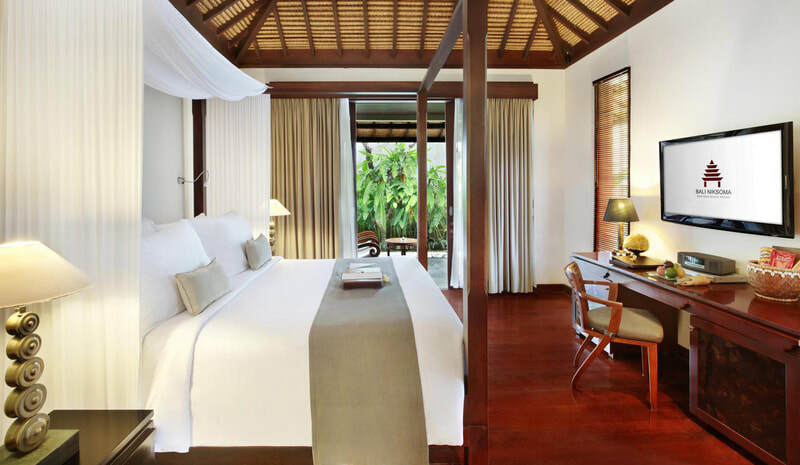 With its charming four-poster bed and leafy terrace, our Junior Suite lends itself to moments of romance. 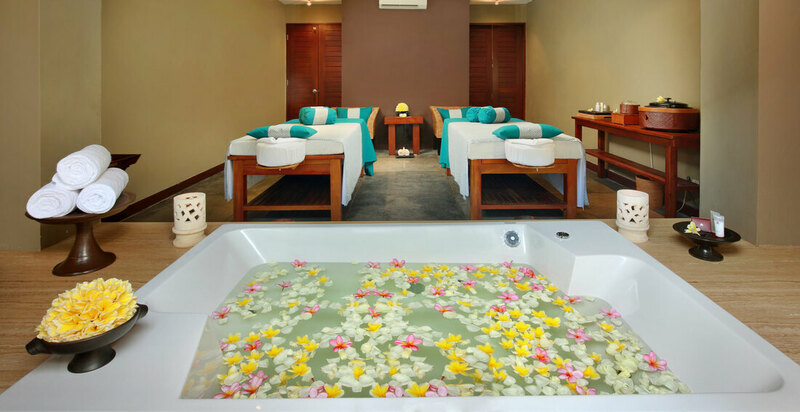 The en-suite bathroom features a full-sized bathtub for your spa-inspired bathing pleasure. 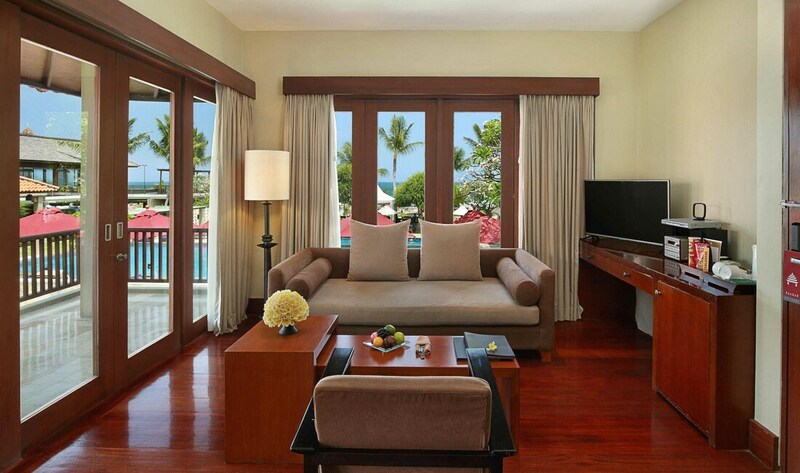 Blessed with a tropical view, our well-designed Suite takes Balinese luxury to the next level. Bathed in natural light, it features a spacious bedroom with an adjacent living room adding an extra dimension to this elegant accommodation category. It is a great option if you are travelling with a loved one and seeking romantic time alone. 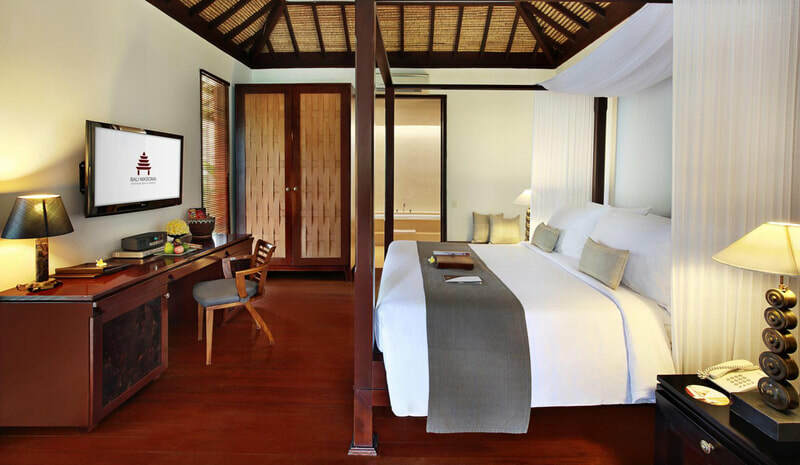 Secluded within the walls of a Balinese compound, our exclusive two-bedroom villa comes with its own private pool and an open-plan living environment. 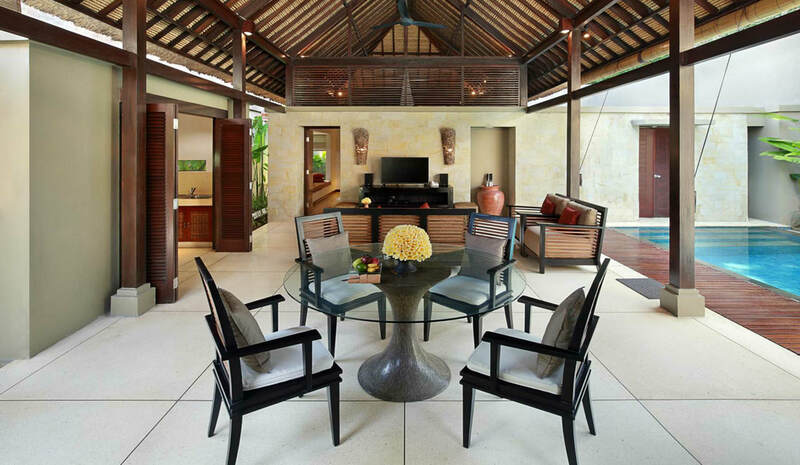 Styled to emulate a tropical home, it provides the perfect base to spend quality time together as a family. Although supported by resort comforts, the inclusion of a smart kitchen facility is an added convenience especially when travelling with young children. At Bali Niksoma Boutique Beach Resort, we put guest comfort first with exceptional facilities to enhance your overall quality of stay. 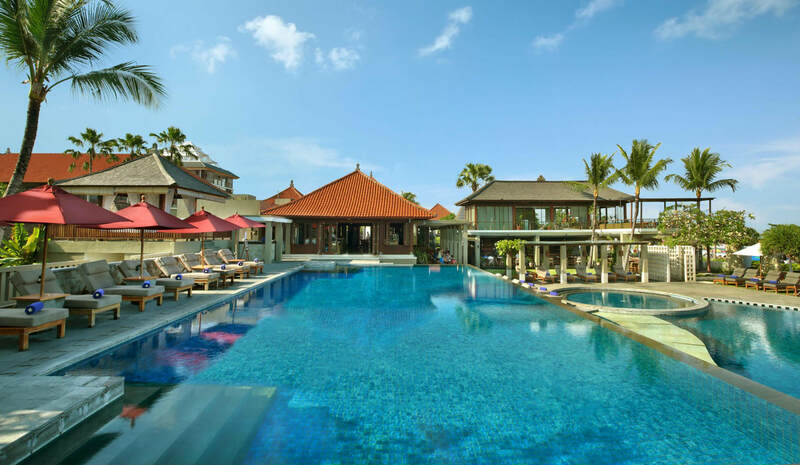 From our tropical pool environment to a dining venue that will satisfy your appetite and a dedicated spa supported by wellness amenities, luxury awaits you by the beach in Bali’s favourite lifestyle district. 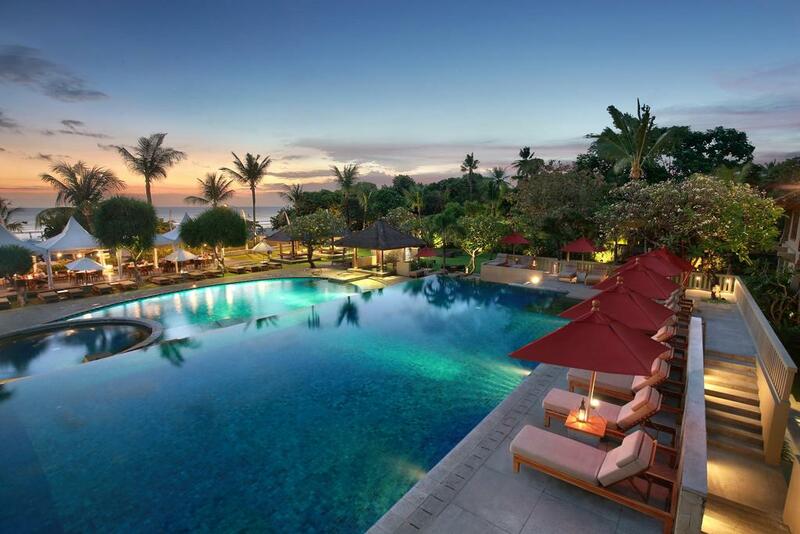 Two large swimming pools on two different levels with breath-taking infinity view to the ocean. Dine stylishly with our fine dining experience offering the best in Asian and Western culinary under modern. 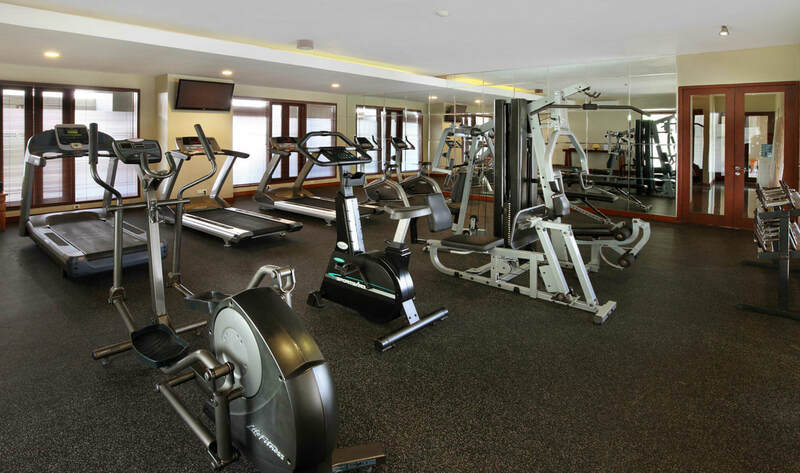 A good size health club with the latest machineries and also a sauna. Equipped with television to accompany. 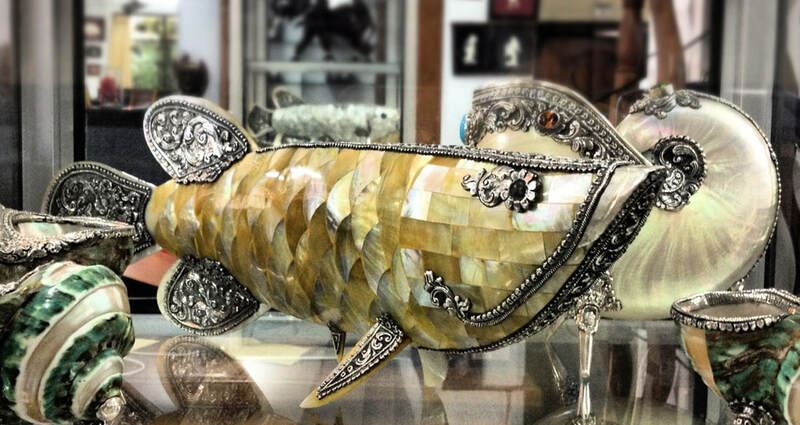 Find yourself a present or two for your loved ones, carefully selected from Bali’s best handicraft.